Welcome, wanderer, to the fascinating world of Peora, a customized multiplayer online role playing game. Take the role of a valorous adventurer, explore a huge realm of magic and mystery and make friends with people from all over the world! To start playing sign up for a free account and download your client. See you in Peora! With this update comes a few finishing touchings and upgrades on certain areas, and especially some behind the scenes operations. Overall, as most people know, the original lands map did have a lot of excessive materials in various spawns, and we are happy to finally say the vast majority of spawns are trash/item free, and now very much mirror how they should look for the period! In addition, another new NPC has been added to the server. 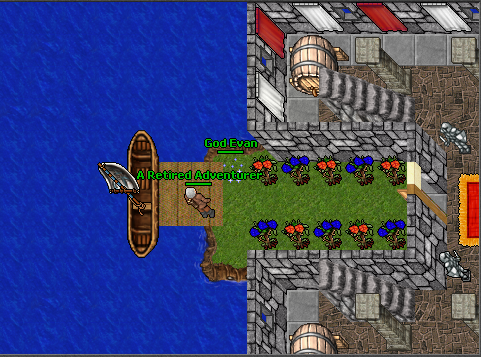 Finally, the guardians of dragonisle have sent a representative and a hatchling to the mainland. You can find them close to the old dragonlord, and he may ask you for help. 1. Rashid now buys gold ring, electric warhammer, and poison dagger. 2. All healing spells and runes, as well as all mana fluids, will no longer return a number if the healing amount to the player is zero, thus reducing screen distractions. 3. The stone giant quest has been altered slightly, but prizes remain the same. 4. Dragon hatchlings have had their flee level repaired, and guardian and blue djinn loot has been balanced. 5. The mission log count has been corrected to match the task kill message; now they will both count evenly. 6. The quest log has been corrected and balanced; some missions were wrongly counted as quests and have been removed, and more quests have been attached to the quest log; at 561 quests, it is very nearly complete! 7. The speech frequency of the monster botter has been reduced. 8. The original land desert dungeon teleport room has been corrected, and now only the correct vocation may enter the correct teleport. As always, if you see any errors in game, please use !report. In the meantime, good luck in quests, and have fun! 1. Task masters will now provide your current kill count when you retake a cancelled task; thus you can see right then how many are left to kill, rather than having to go kill a monster. 2. Lost boy, Chemar, Rofelos and a few other NPCs have been updated for spelling and such, and all magic NPCs will now advise you to sell wands/rods in Montego. 3. Koya food quest has been altered; levers now have a time delay to prevent abuse. 4. The talkaction !commands has been added to game, and added to the log in message. This will provide a list of game commands. 5. NPC Red has had the lizards kill task in his mission list changed to fire elementals. 6. The charmer's tiara has been added to Rashid; he will now purchase it. 7. All mana potion and healing runes/spells will now indicate how many HP/MP you receive in white text at the bottom of the game window. 8. A lever on drake isle has been repaired. 9. A very large amount of mapping issues have been repaired, from small map errors, to jungle pitfalls, 2 mailboxs, incorrect rocks, poorly placed sprites, etc. 10. Access to Dismorfia has been altered slightly. 11. 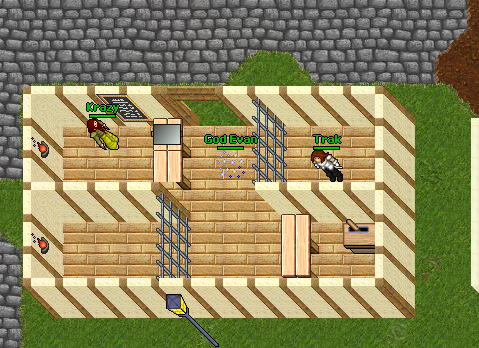 2 new NPCs have been added to server, and the quest and mission logs have been updated. The quest log is getting very close to complete. 12. A few spawns with incorrect spawn time have been repaired, and the drop rate of certain items in certain monsters has been repaired. Bags have been removed from the loot of gazers. Hopefully the health/mana healing information will improve gameplay, especially for those who track statistics. Also, the improvement of task masters should help players see quickly exactly where they are at in tasks. Thank you to all who have been making reports with errors/suggestions. While not every suggestion can be installed, we always appreciate the support, and especially for the mapping error reports. This update focuses mostly on behind the scenes, but 2 new NPCs have been installed, and wait for you in game! Trak is in Sircera, very close to depot. He will help new people get set up their adventurers, and remind them of some key items to carry. He may be a bit sad at times; be sure to ask about his friend mags! A retired adventurer has also set up a humble home on the south beach of Montego. Beyond having an impressive collection of unique items, he rewards players who complete all killing missions from NPCs. Rumor has it he assembled the rarest treasure map in Peora! Be sure to visit and talk with each NPC for more details. 2. A mailbox has been installed in Sabaku black knights. 3. Plural monster name spelling has been fixed in various NPCs. 4. GFB spell has been repaired on website, to show that on this server druids may make gfb runes. 5. Certain treasure rooms have had their daily spawns adjusted slightly. 6. NPC Khellus and Edvard have been updated to make their messages easier to understand. 7. Five new talkactions have been added to game; these are commands players can use to get certain information about themselves, or about the server in general. Please see the serverinfo page, player commands section for more details. 8. Many mapping errors have been corrected. 9. Lizard/Monkey spawns in south Montego have been adjusted.